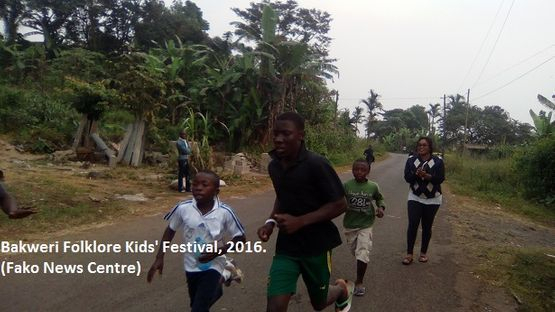 The kids and youths participated in a Cross-Country Race that took place in three categories. 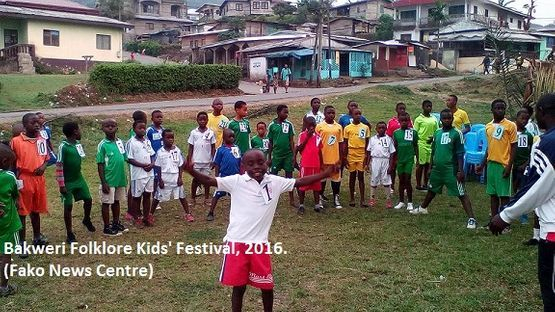 The junior category made up of kids below 10 year ran from the Buea Town wrestling field to Government Technical School Bova and back, while the intermediate Category ran from the Buea Town Wrestling field to Government Primary School Bova and back, and the senior category ran through Ewonda, Wova (Bova) I, Wova (Bova) II to Wonakanda (Bonakanda) and back to the starting point. 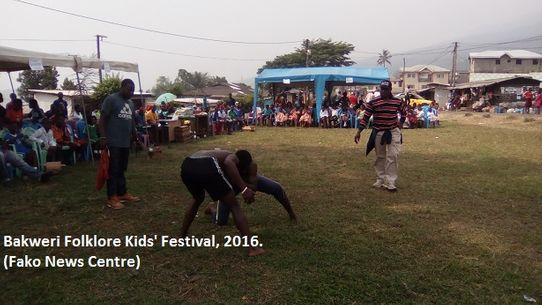 This festival also witnessed wrestling, traditional dancing and other competitions. 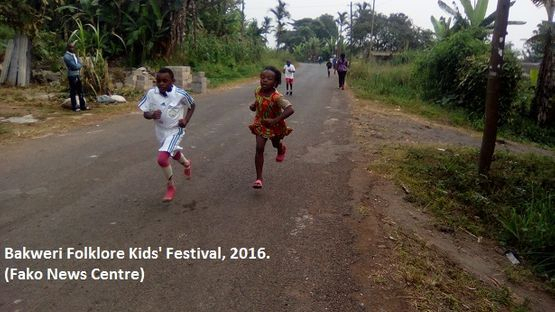 Mola Ndumbe Lyonga La Manjinja'a thrilled the kids with folktales from the foot of Mount Cameroon. 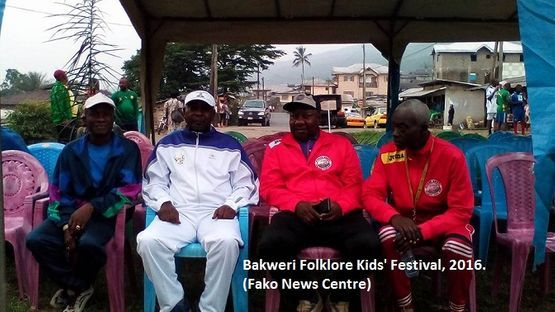 He encouraged the kids and youths to learn the cultural values of the Wakpwes (Bakweries) who are the indigenous inhabitants of the Mount Cameroon area. 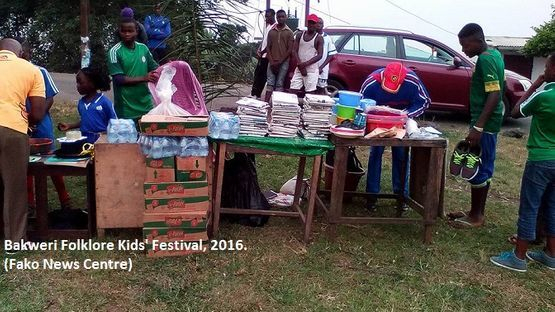 At the end of the event, the kids and youths who performed well went home with prizes in the form of books, plates, buckets and traditional items like baskets amongst others. 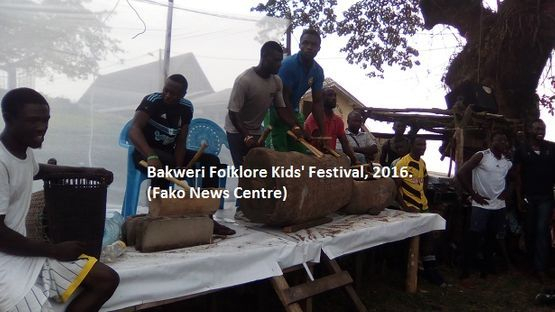 Talking to Fako News Centre, the organiser of the event thanked everybody who supported this initiative, especially members of Fako America, Mola Esuka Robert Endeley, Iya Enyowe Ngenge, Fritz Mbome, Mola Loka La Makolo, Mome Ekonde, Hon. Lysinge Ekeke, Dr. H. E Monono, Hon. 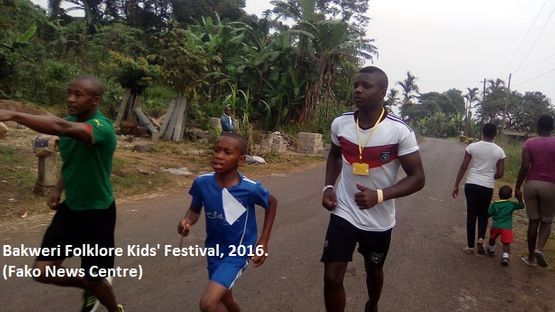 Meoto P. Njie and Mola Mbwange Monyonge.